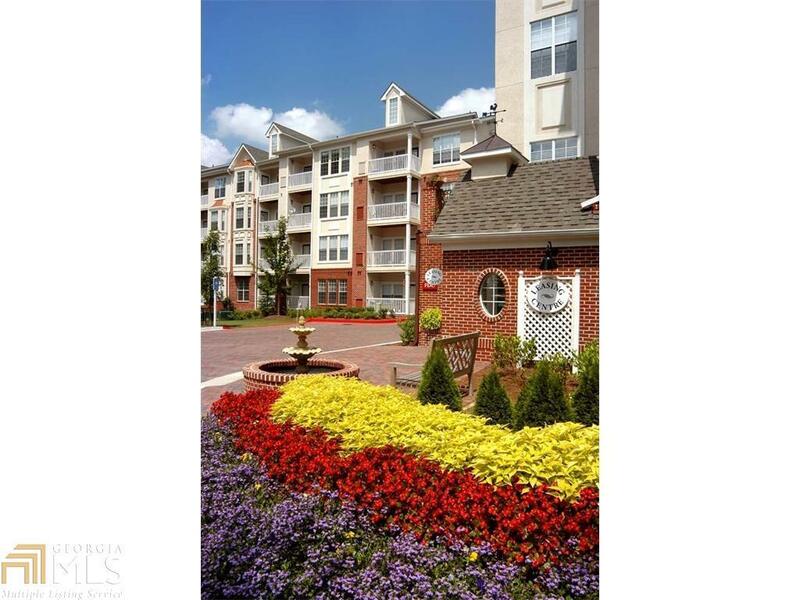 Like new top floor corner condo in beautiful resort style gated community. Bright, spacious, open floorplan offers private balcony overlooking the trees. Move in ready with all the upgrades: granite, stainless appliances, microwave, refrigerator with ice maker, washer / dryer, ceiling fans, upgraded lighting, hardwood floors, assigned parking space, and lots of closet space. Well managed and perfectly maintained community built in 2002, offers all the amenities you could want (pool, tennis, fitness center, theater room, clubhouse, etc). Offering a 1 year home warranty to the buyer. FHA Approved. Listing provided courtesy of Hober Realty. © 2019 Georgia Multiple Listing Service, Inc. All rights reserved. Information Deemed Reliable But Not Guaranteed.